Lomborg first took his analytical skills to take apart President Obama’s EPA climate regulations done through executive order. “Using the same prediction model that the UN uses, I found that [Obama’s] power plan will accomplish almost nothing. 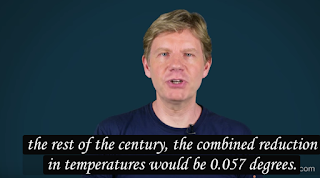 Even if its cuts to carbon dioxide emissions are fully implemented – not just for the 14 years that the Paris agreement lasts, but for the rest of the century — the EPA’s Clean Power Plan would reduce the temperature increase in 2100 by just -.023 degrees Fahrenheit,” Lomborg explained. “In the unlikely event that all of these extra cuts also happen, and are adhered to throughout the rest of the century, the combined reduction in temperatures would be 0.057 degrees. To put it another way, if the U.S. delivers for the whole century on the President Obama’s very ambitious rhetoric, it would postpone global warming by about eight months at the end of the century,” Lomborg said. 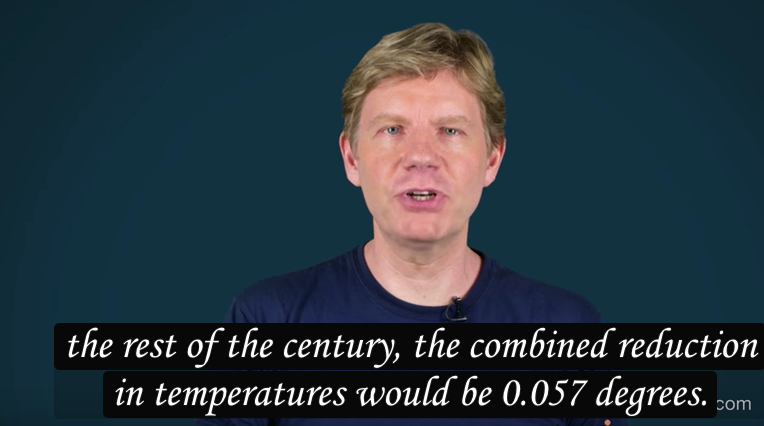 Lomborg continued, aiming his analysis at the much touted UN paris climate agreement. “Now, let’s add in the rest of the world’s Paris promises. If we generously assume that the promised carbon cuts for 2030 are not only met — which itself would be a UN first — but sustained throughout the rest of the century, temperatures in 2100 would drop 0.3 degrees — the equivalent of postponing warming by less than four years. Again, that is using the UN’s own climate prediction model,” Lomborg said.